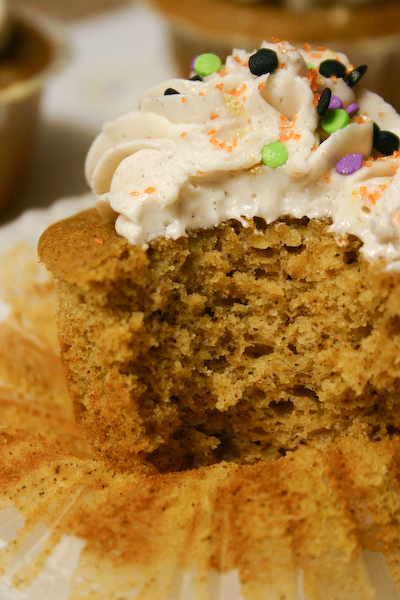 Homepage / cinnamon / Pumpkin Spice Cupcakes for Two. 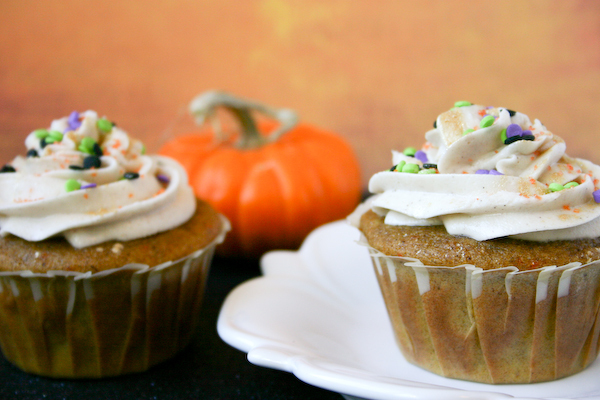 Pumpkin Spice Cupcakes for Two. This isn’t about portion control. But really this is about there being too many pumpkin-spiced things in the world to eat between now and peppermint/gingerbread season and anything more than two cupcakes is totally unneccessary and stresses me out. … even though I tripled this and made six. Two for my face, two for my parents, and two for pictures. Whatever. It happens. Want to hear something sad? 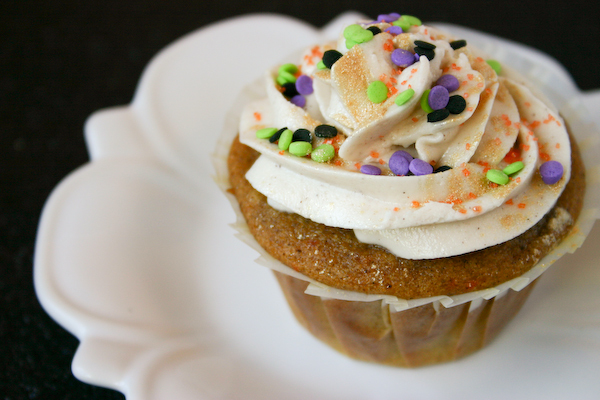 I’ve been craving pumpkin cupcakes since literally August. I know! 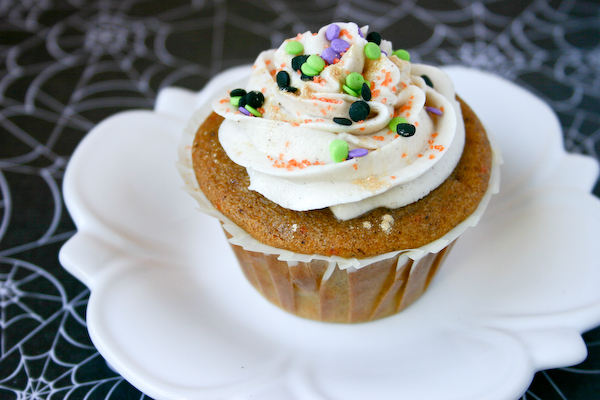 But I’d never had one and I figured they would taste like big cakey pumpkin spice scones topped with frosting and sprinkles and sugar, and since cupcakes and pumpkin scones are two of my biggest weaknesses, I kept putting them off. For the sake of my jeans. 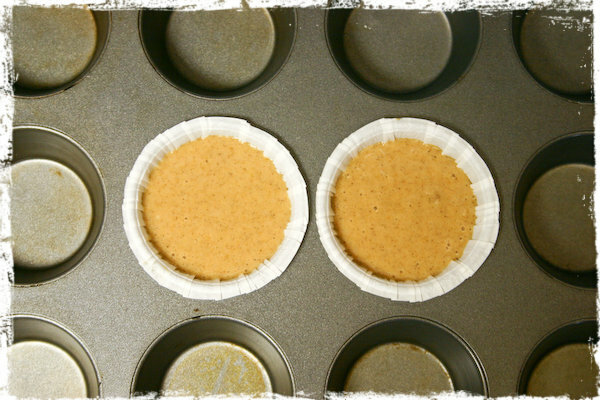 Until I found this recipe that makes just two cupcakes and, well, there went that idea. 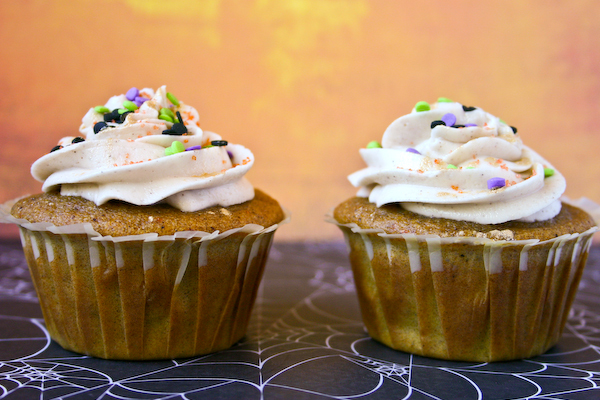 vanilla cupcakes for two! They’re so soft and moist and full of fall spices. And the cinnamon frosting? I pretty much want to put that on everything I bake for the rest of my life. I’m serious. Cakes, pies, onion rings, whatever. It’s gonna happen. But seriously. I can’t even handle thinking about making a full batch of these cupcakes because after the first batch disappeared, I kept wandering into the kitchen all night looking for the other ten. I could’ve eaten a whole dozen. Dangerous times. 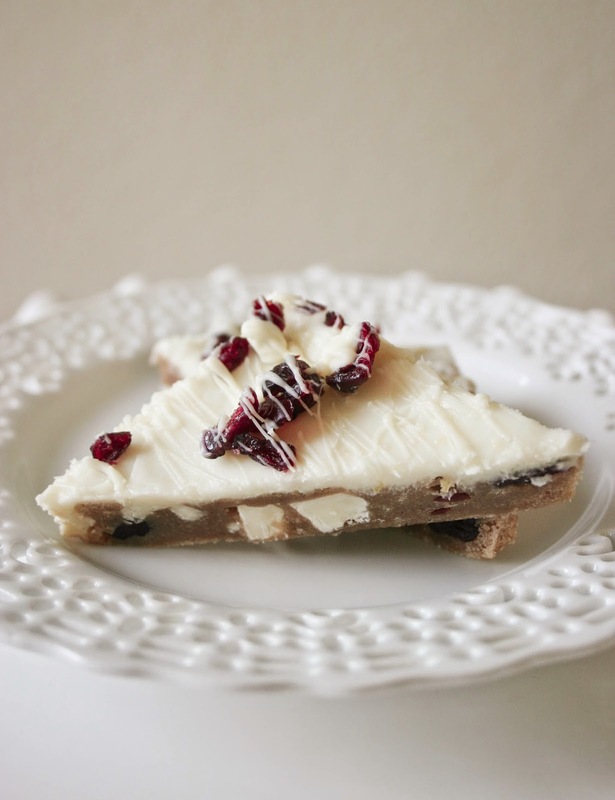 Thank you, tiny recipe, for letting me fit into my pants. Preheat oven to 350°F. 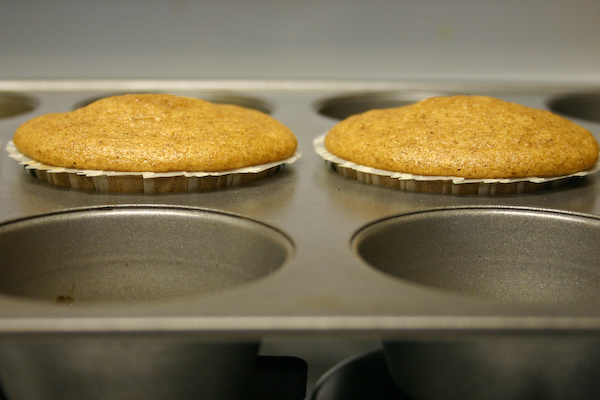 Line muffin pan with two liners and set aside. In a medium bowl whisk together egg white and sugar until thoroughly combined. 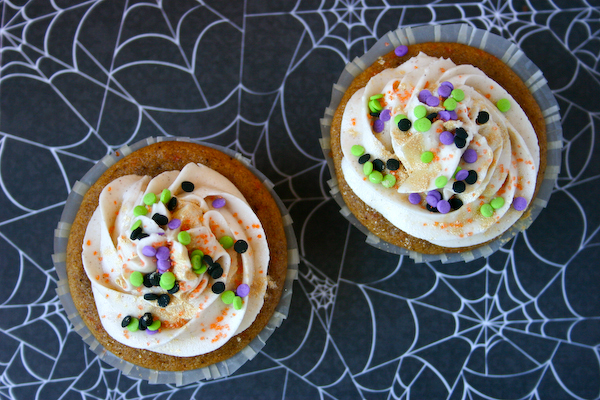 Whisk in oil, vanilla, and pumpkin until fully incorporated. 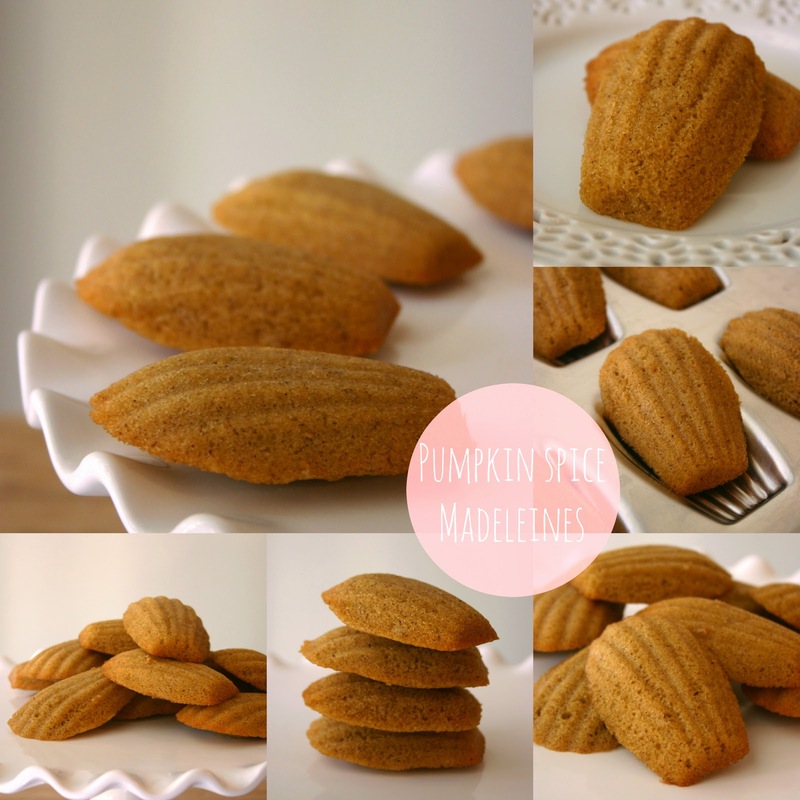 In a small bowl, combine flour, baking powder, pumpkin pie spice, cloves, and salt. 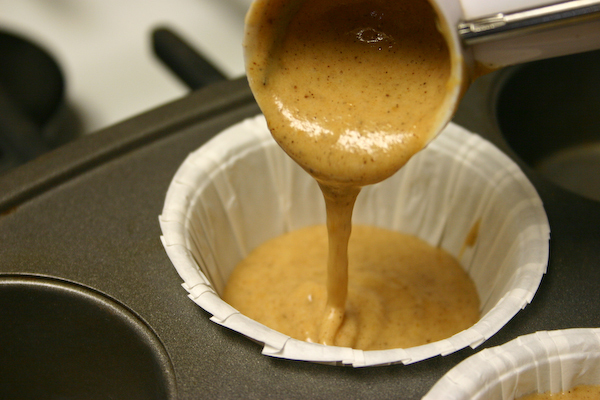 Gradually stir into pumpkin mixture until just combined. Stir in milk. The batter will be very liquidy. To make frosting, beat together the softened butter and shortening until light and fluffy (I did this in my stand mixer with the paddle attachment, but since it’s such a small batch, be sure to scrape the bottom of the bowl with a spatula in between each step!). Add the vanilla and salt and mix until incorporated. Slowly add the powdered sugar, scraping down the sides of the bowl after each addition. Add the milk and mix at high speed until light and fluffy. 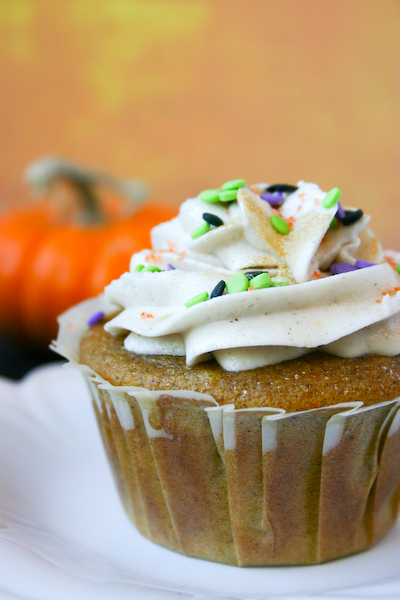 Stir in cinnamon and frost cupcakes! Source: Cupcakes from A Bitchin’ Kitchen, frosting inspired by same source, but adapted from this recipe. Previous post Pumpkin Spice Scones. 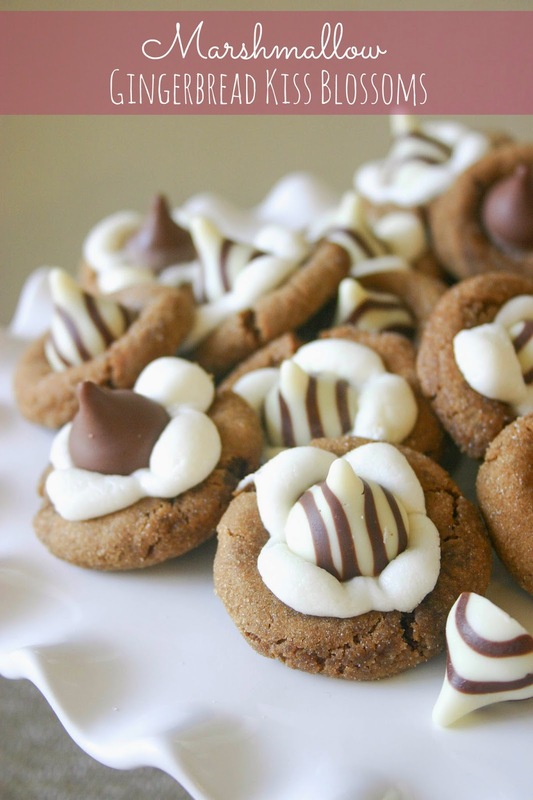 Next post White Chocolate Mocha Cookies.